Hari tu kata Anwar tak patut bertanding kat PD. 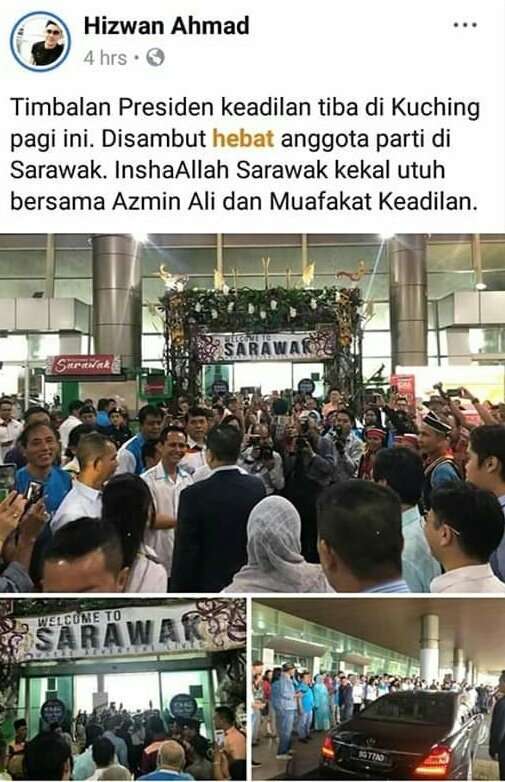 La ni Kak Limah dan kadamnya persoal pasai apa Kak Wan lawat Julau? Apa masalah Kak Wan ke Julau? Julau tu bukan dalam Malaysia kah? Kak Wan tu TPM dan beliau boleh lawat ke mana2 dan bila2 masa saja. Ni hangpa kata kat Kak Wan pulak! 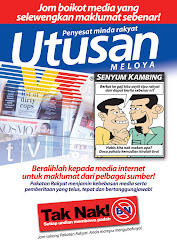 Nasib surat khabar syarikat akhbar Utusan Melayu sama sahaja dengan nasib parti yang mendokongnya. 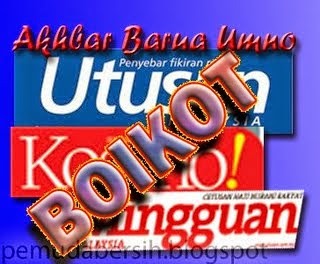 Seorang demi seorang pengarang akhbar itu yang berundur sambil memburukkan akhabr berkenaan. Macam pemimpin Umno jugalah. 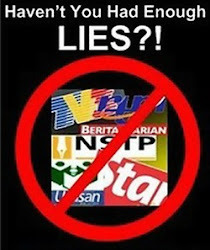 Masing-masing menyalahkan akhbar berkenaan yang tidak mahu berubah. Soalnya siapakah pemimpin akhbar berkenaan selama ini, bukankah anda semua? 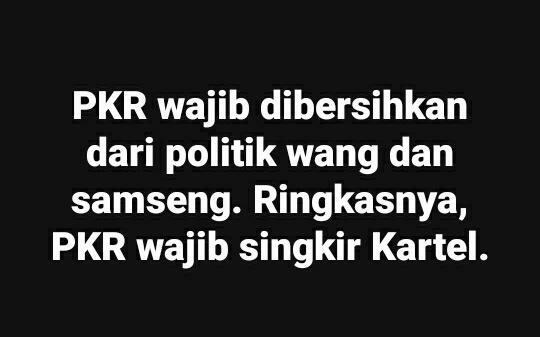 Kenapa idea dan saranan anda selepas berundur atau bercadang untuk berundur yang dilihat lebih membangun tidak dituangkan semasa anda berada dalam syarikat berkenaan. Inilah manusia kalau prinsipnya seperti batang keladi. Kenapa sebuah syarikat sewa kereta shj yg dimiliki oleh naib ketua Parti Pesaka Bumiputera Bersatu (PBB) Jepak boleh dpt projek dari Kementerian Pendidikan yg bernilai RM1.25 bilion dgn tanpa tender terbuka ??! Malah Najib Razak didakwa meluluskan projek pemasangan panel solar di 369 sekolah di pedalaman Sarawak pada Januari lepas. 1. Nama Jho Low(JL) mulai menjelma dalam senarai individu yang rapat dengan bekas Perdana Menteri Datuk Seri Najib Razak. 2. JL dilaporkan terlibat dengan Riza Aziz, anak tiri Najib dalam pembelian sebuah unit kondo mewah di bangunan The Warner Center yang bernilai RM 117 juta di tengah-tengah bandar New York. 3. JL juga telah membantu syarikat perfileman Riza yang telah menerbit The Wolf of Wall Street (2013) dan Dumb and Dumber To (2014). 4. JL dikatakan sebagai ‘arkitek utama’ Lembaga Pelaburan Terengganu (TIA), sebuah dana pelaburan bebas negeri tersebut. 5. Nama JL tiba-tiba melantun ke papan atas dan menjadi selebriti terkemuka Malaysia ekoran kemunculannya berparti dengan aktres kontroversi Hollywood Paris Hilton. 6. Nama sebenarnya ialah Low Taek Jho, namun hanya dikenali sebagai Jho atau Jho Low. 7. Berusia sekitar 35 tahun, JL ialah anak kelahiran Pulau Pinang kepada jutawan Larry Low, anak tauke tenunan Pulau Pinang, yang mendapat gelaran Tan Sri pada tahun 2013. 8. JL membesar di Georgetown, Pulau Pinang dan mendapat pendidikan elit di Harrow School, England. 9. JL kemudiannya melanjutkan pelajaran di Wharton School of the University of Pennsylvania di Amerika Syarikat. 10. JL mula mendapat perhatian umum semasa berusia 20-an apabila menghabiskan ribuan US dolar bersama rakan-rakannya di kelab malam sekitar Manhattan, Amerika Syarikat. 11. Difahamkan JL telah membeli sebuah penthouse di Time Warner Center yang bernilai RM109 juta dengan menggunakan syarikat rahsia pada 2011. Banyak lagi aset yang dibeli Jho Low menggunakan duit curi 1MDB. 12. Namun banyak yang sudah disita oleh DoJ termasuk hotel, apartmen mewah, lukisan klasik, filem Hollywood dan jet peribadi. 13. 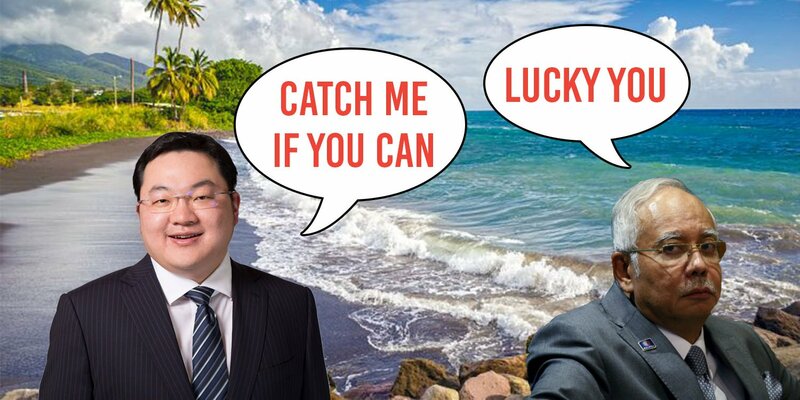 Jho Low dikaitkan sebagai pemilik kapal mewah, bernama Equanimity yang berharga RM1 bilion, yang bermaksud tenang dalam gelora. On paper, it appeared Musa Aman could easily reclaim his old job as Sabah Chief Minister. Mr. Musa, who has been charged of pocketing US$63.3 million (RM264 million) as bribes in exchange for logging concession contracts to 16 companies and was slapped with 35 charges, has claimed that his dismissal as chief minister was illegal and against the state constitution. After all, Musa was the first to be sworn in by the Yang di-Pertuan Negeri (Governor) Juhar Mahiruddi on May 10th, just a day after the historical May 9th general election that left Sabah with a hung state assembly. 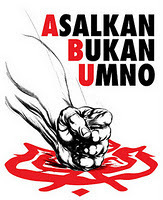 Back then, Musa led Sabah Barisan to win 29 seats while opposition Warisan and its partners (DAP and PKR) also won 29 seats in the 60-seat Sabah State Legislative Assembly. However, thanks to “froggie” state assemblyman Jeffery Kitingan who switched sides, Musa was eventually sworn in. But it was a short-lived victory for the Sabah Barisan, part of the Barisan Nasional coalition which unexpectedly lost its power for the first time in 61 years on that fateful day. Within 48-hour, Musa lost his chief ministership following a defection of 6 of his own assemblymen. With 35 seats, opposition Warisan and its partners – DAP and PKR – has more than enough seats to form the state government. Hence, Governor Juhar swore Warisan President Shafie in as Chief Minister on May 12th. Furious, Mr. Musa disputed his removal, saying that he never tendered his resignation as chief minister. He then filed a lawsuit, seeking a declaration that he is the lawful Sabah chief minister. Ahh, while Musa Aman, his lawyers and opposition Barisan Nasional were confident they could take back the state of Sabah, Kuching High Court Judge Yew Jen Kie has prepared a surprise for them. 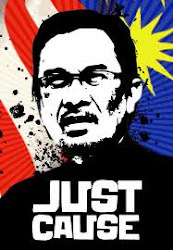 The judge declared that the May 12 appointment of Warisan President Shafie Apdal by the Governor Juhar Mahiruddin was valid under the Sabah constitution. The best part of the ruling was the reason presented by Justice Yew in arriving at her decision. 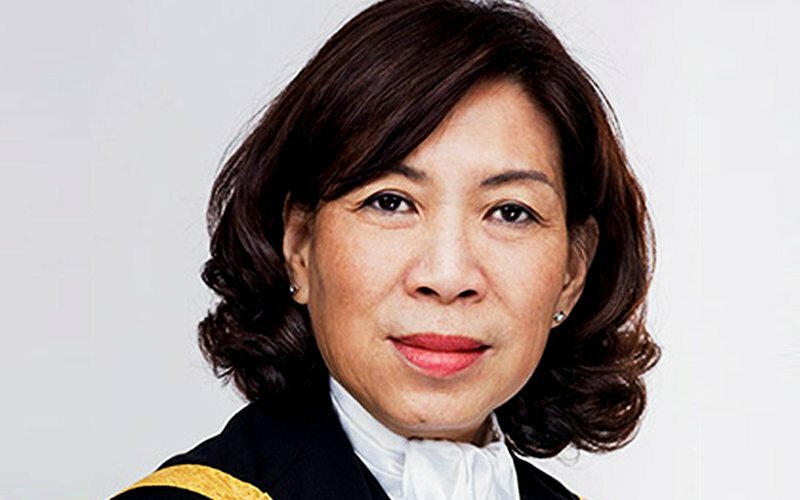 She cleverly used a Federal Court ruling triggered by Barisan Nasional itself about 9 years ago as the basis of her decision – the 2009 Perak Constitutional Crisis. In that crisis, the same drama happened. The difference is the roles were being reversed. 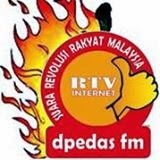 Flashback – after the 12th general election on March 8, 2008, the then opposition Pakatan Rakyat (now defunct) surprisingly won the state of Perak. Armed with 32 seats against Barisan Nasional’s 27 seats, Mohammad Nizar was sworn is as the Mentri Besar (Chief Minister) of Perak. But less than a year later in February 2009, the crisis exploded. 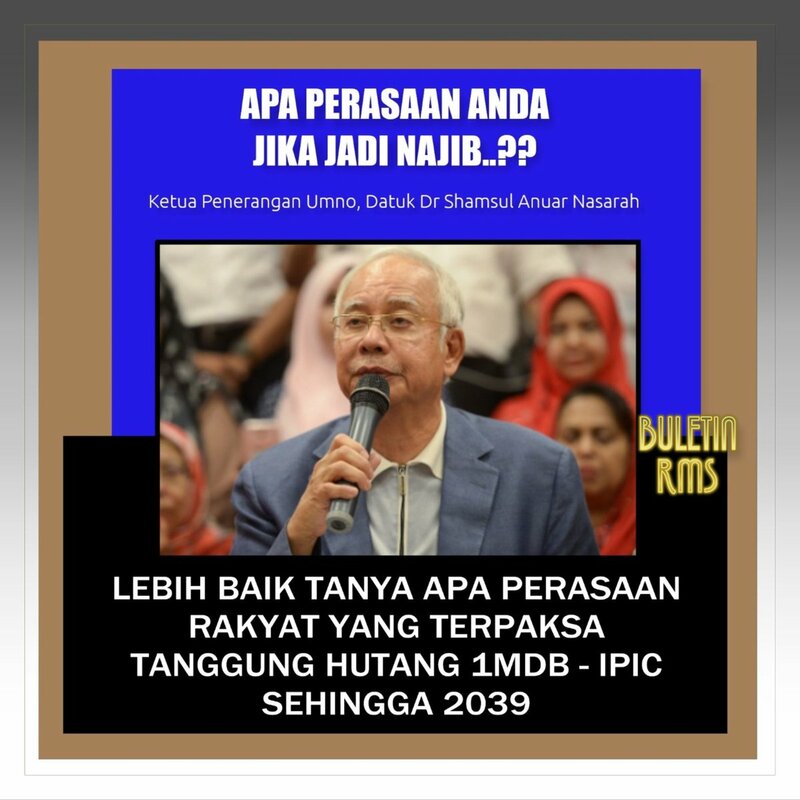 The crisis began when a Barisan Nasional assemblyman – Nasaruddin Hashim – expressed his desire to switch side to PKR (People’s Justice Party), a component party of Pakatan Rakyat. PKR supremo Anwar Ibrahim happily accepted him, without realizing he was a trojan horse sent by PM Najib Razak. 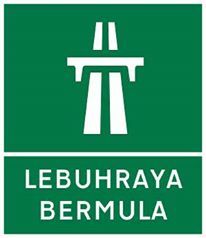 Days later, the mole re-defected back to Barisan Nasional. Nasaruddin brought along with him 3 other Pakatan Rakyat assemblymen – including Deputy Speaker Hee Yit Foong, senior state Executive Council member Jamaluddin Mohd Radzi and Osman Jailu. 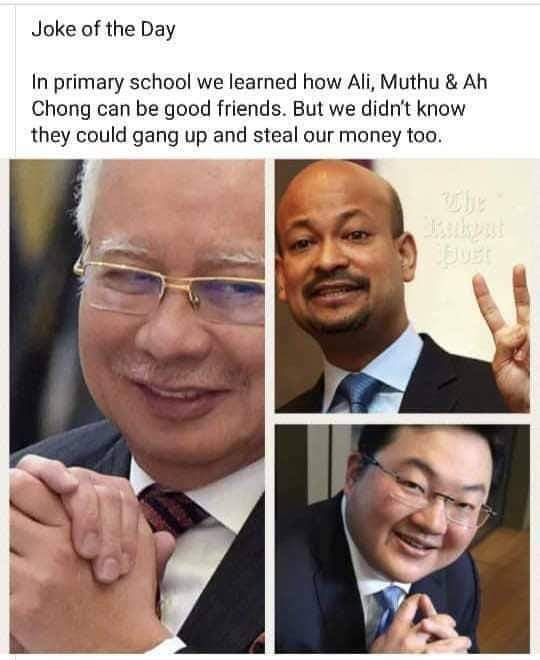 Among the “three frogs”, Hee Yit Foong was the most despised traitor after revelation that Najib paid her at least RM25 million cash to defect. Interestingly, the other 2 defectors – Jamaluddin and Osman (PKR assemblymen) – had been accused of corruption prior to their defections, fuelling speculation that both frogs didn’t get paid as much as Hee Yit Foong (DAP assemblywoman). 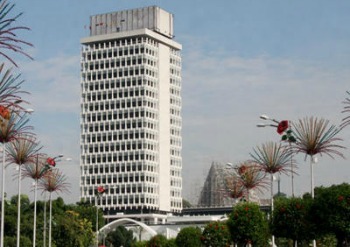 Perak State Assembly Speaker V. Sivakumar announced he had received the resignation letters of Jamaluddin and Osman but both denied they have resigned. 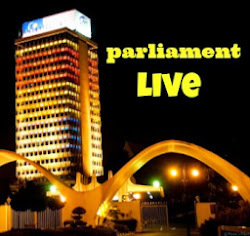 Although the Speaker had declared the seats held by Jamaluddin and Osman were vacant, the corrupt and pro-Barisan Nasional “Election Commission” decided to reject the Speaker’s requests for by-elections to be held. The then-PM Najib Razak, who happened to be the head of Perak Barisan Nasional, sought an audience with Sultan Azlan Shah of Perak. Chief Minister Nizar also had an audience with the Sultan of Perak and requested dissolution of the state assembly to pave way for a snap election on 4 January 2009. The Sultan of Perak, however, refused Nizar’s request for the dissolution request and asked Nizar and his cabinet to resign instead, citing his discretion under Article XVIII (2) (b) of the Perak State Constitution. Nizar refused to resign and asked the sultan to reconsider and dissolve the assembly. DAP supremo Lim Kit Siang had argued that the sultan was obliged to act on the advice of the Menteri Besar and call fresh elections, citing Article 16(6) of the Perak State Constitution. The crisis got so bad that pro-government police force was used to cordon off the state secretariat building. In what appeared to be the “biggest black eye” to the country’s democracy, Perak Speaker Sivakumar was forcefully held, dragged and removed from the chamber to allow Najib’s man, R Ganesan, to be installed as the new Speaker. The Pakatan Rakyat assemblypersons had to conduct their assembly meeting under a tree in the parking lot of the State Secretariat building. On February 6th, Barisan Nasional assemblyman Zambry was appointed as the 11th Mentri Besar of Perak, replacing Mohammad Nizar. A week later, Mr. Nizar initiated legal action, seeking a court declaration that he is still the rightful chief minister. When DAP top lawyer Karpal Singh filed a lawsuit to challenge the Perak Sultan’s decision, he was slapped with sedition charges instead. On May 11th, High Court declared Mohammad Nizar as the rightful Mentri Besar of Perak after finding that he had never vacated his post as he had not lost the confidence of the majority of the state assemblymen. But as per the country’s Kangaroo Court SOP, the decision of the High Court was subsequently dismissed by the Court of Appeal which declares Zambry as the rightful chief minister. 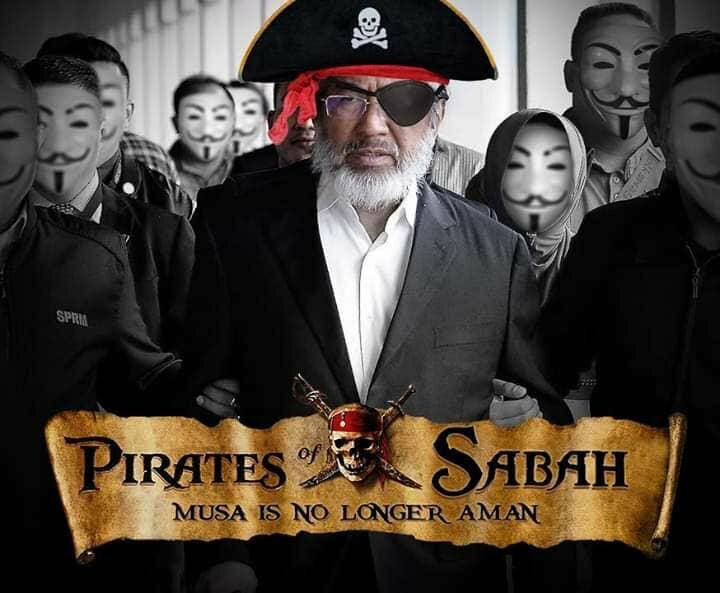 In the same breath, Judge Yew said Governor Juhar was acting within his powers when he swore in Shafie less than 48 hours after he swore in Musa, the same way Sultan Azlan Shah of Perak had sworn in Najib’s man Zambry, albeit not within 48-hour. The judge argued that statutory declarations by the 6 Barisan Sabah assemblymen who defected were sufficient to show Musa had lost his majority support. Judge Yew also argued that the governor did not need to wait for a motion of no-confidence to be tabled against Musa in the state assembly. 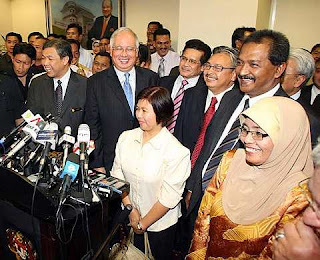 Based on the 2009 Perak Constitutional Crisis, she was convinced a vote of no-confidence is not the only method to determine whether a chief minister of Sabah (Musa Aman) had lost his majority support. Musa Aman’s refusal to resign mirrored that of Perak ex-Chief Minister Mohammad Nizar. In fact, former Information Minister Ahmad Shabery Cheek had claimed that Nizar’s refusal to resign was an act of treason. Therefore, taking a page from Perak Constitutional Crisis, Judge Yew agreed that Musa is deemed to have vacated the office along with his state cabinet once he loses the majority. Until today, it’s debatable whether the Perak Sultan’s decision was wrong as far as the rule of law is concerned. That decision, made in haste, basically means the Mentri Besar (Chief Minister) holds office at the pleasure of the Sultan, when in fact it is not. The Sultan – a constitutional monarch – had no power to dismiss Nizar, let alone to request his resignation. Had Sultan Azlan Shah of Perak allowed former Perak Chief Minister Nizar’s request for the dissolution of the state assembly to pave way for a snap election back in 2009, or at least allowed a vote of no-confidence to be tabled (just to prove PM Najib had the numbers), perhaps Musa Aman could win his case and Barisan Nasional would be returned to power in Sabah today. It certainly didn’t help that Raja Eleena Raja Azlan Shah, the daughter of the then-Sultan Azlan Shah of Perak, coincidently was the second richest woman on the 2008 Forbes 40 Richest Malaysians at #35 spot, by virtue of her being the single largest shareholder of Gamuda, the largest engineering and construction company in Malaysia – via her 7.5% stake in Generasi Setia (M) Sdn Berhad. Masa BN dulu tak pulak menyalak!!! 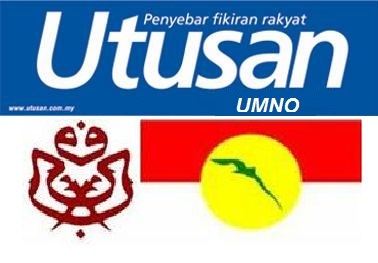 UMNO pelindung orang Melayu? Nahe..nahe..